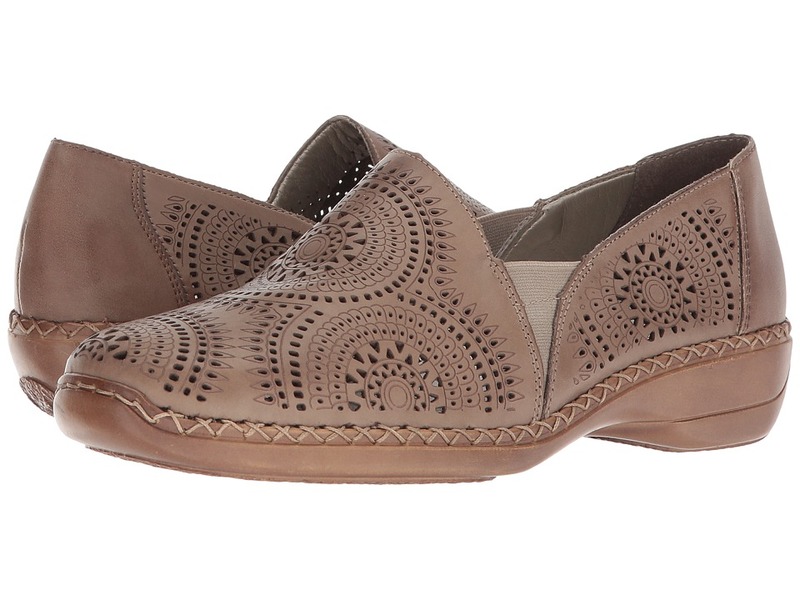 You~ll want to wear the classic, versatile Franco Sarto Bocca season after season. Smooth calf leather upper. Plain square toe. Lightly cushioned insole. Durable, flexible rubber outsole. Measurements: Heel Height: 1 in Product measurements were taken using size 10, width M. Please note that measurements may vary by size. Weight of footwear is based on single item, not the pair. Sassy mary jane sneaker. Combo leather and suede upper with stylish leather straps. Adorable round toe design. Hook and loop fastener provides a secure, personal fit. Man-made lining and comfort footbed. Durable rubber outsole. Imported. Measurements: Heel Height: 1 2 in Weight: 7 oz Product measurements were taken using size 5, width B - Medium. Please note that measurements may vary by size. Weight of footwear is based on single item, not the pair. The Lilly flat effortlessly blends contemporary appeal with a whimsical touch to bring you the perfect look! Leather upper with intricate cutout detail. Lined with leather. Padded leather footbed. Rubber outsole. Made in France. Measurements: Weight: 7 oz Product measurements were taken using size 39 (US Women~s 8), width M. Please note that measurements may vary by size. Weight of footwear is based on single item, not the pair. Please note: If you normally wear a 1/2 size, Arche recommends ordering the next size up. So if you wear an 8 1/2, please order a 9. Amazingly comfortable, this sweet and stylish ballet-inspired skimmer is available in a myriad of colors. Upper comes in a variety of embossed, printed, smooth or suede leather. Leather lining. Lightly padded leather footbed. Flexible and lightweight outsole. Made in France. Measurements: Heel Height: 1 2 in Weight: 7 oz Product measurements were taken using size 38 (US Women~s 7), width M. Please note that measurements may vary by size. Weight of footwear is based on single item, not the pair. Please be advised that the Birkenstock&amp#174 Narrow width accommodates both traditional narrow and medium widths. 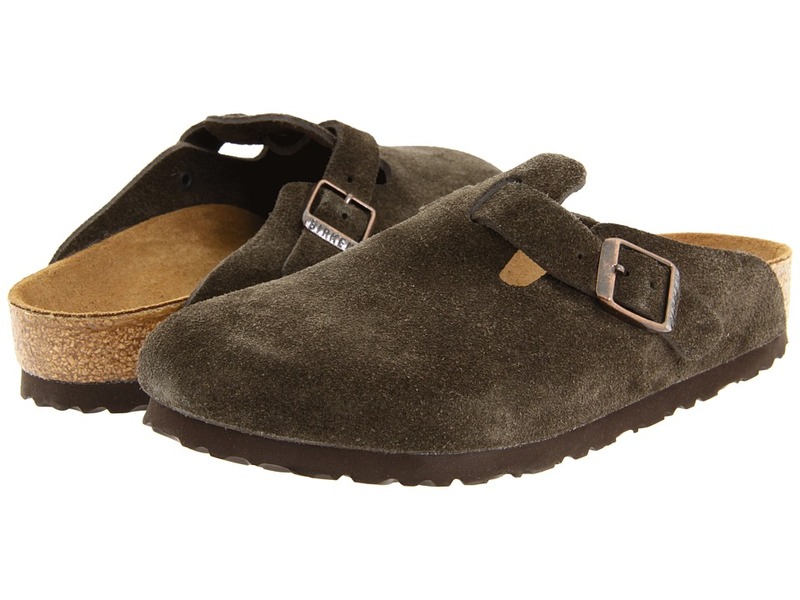 The Boston Suede from Birkenstock is a classic clog that will add style and comfort to your wardrobe. Soft premium suede upper with a matching adjustable strap for a perfect fit. Anatomically correct cork footbed, crafted from cork that is 100 percent renewable and sustainable, encourages foot health. The suede lined, contoured footbed will mold to the shape of your foot creating a custom footbed that supports and cradles you each and every step. Raised toe bar is designed to encourage the natural gripping motion of your feet, exercising your legs and aiding circulation. Neutral heel profile and deep heel cup keeps the natural padding of your foot where it belongs, under the heel, distributing your body weight more evenly. Flexible EVA outsole offers lightweight, shock absorbing support with lasting durability. Dual layer Jute: top wicks away moisture while the bottom adds strength and makes resoling easy. You will enjoy your Birkenstocks for years because they can be repaired, resoled or even completely renewed. Heat Warning - Cork footbeds or EVA soles can be damaged by exposure to concentrated heat. Do not leave your footwear in direct sunlight or in closed cars on warm days. If your footwear becomes wet, allow it to air dry slowly, away from direct heat. Made in Germany. Measurements: Weight: 12 oz Product measurements were taken using size 37 (US Women~s 6-6.5), width Regular. Please note that measurements may vary by size. Weight of footwear is based on single item, not the pair. 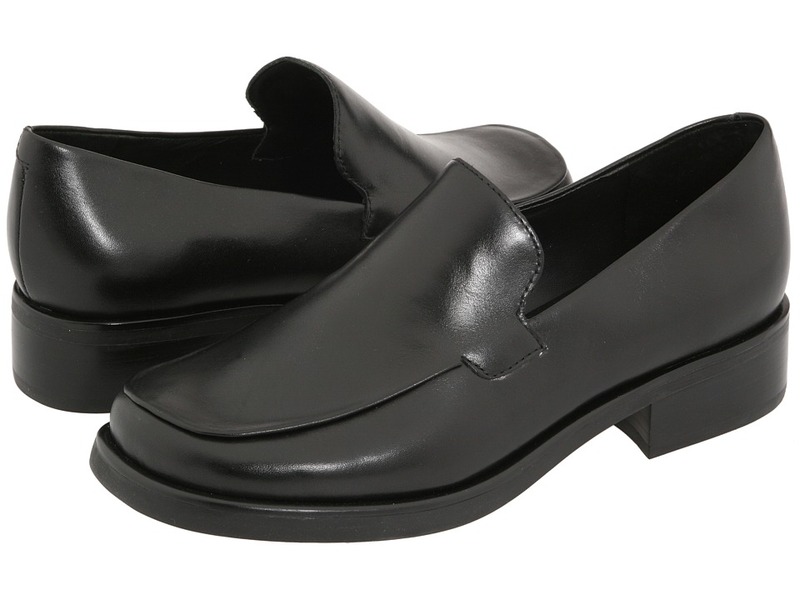 The sleek, versatile Liz loafer from Trotters mixes great looks with comfort. Fully woven leather upper with a rounded toe for a feminine appeal. 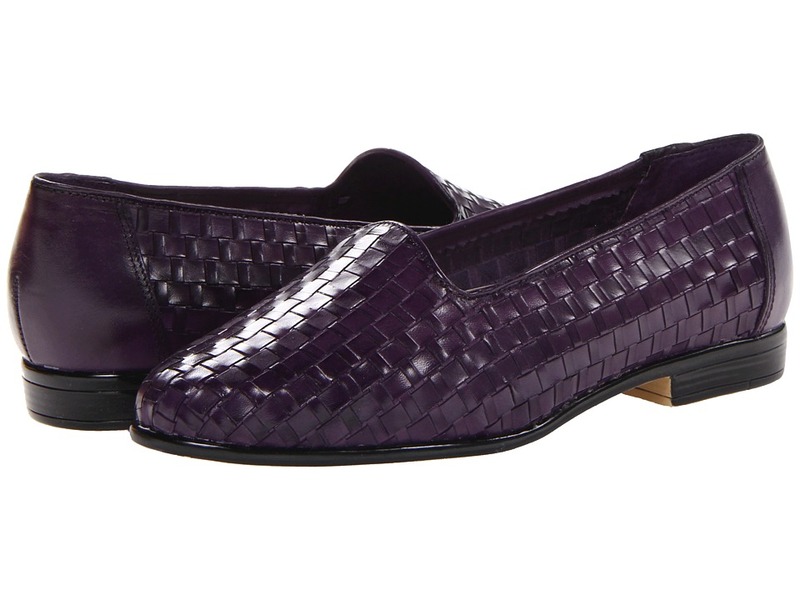 Slip-on loafer silhouette ensures easy on and off wear. 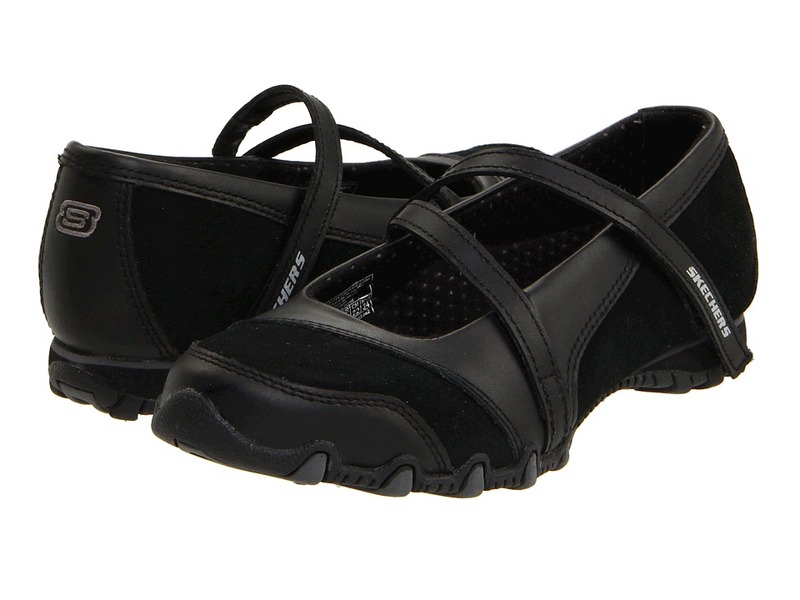 Padded footbed provides comfort and support for all-day wear. Steel shank provides additional midfoot support and lateral stability. Stylish stacked heel provides a classic, rich appearance. Man-made leather and rubber outsole offers flexibility and absorbs shock. Measurements: Heel Height: 1 2 in Weight: 8 oz Product measurements were taken using size 10, width WW (EE). Please note that measurements may vary by size. Weight of footwear is based on single item, not the pair. French Sole recommends ordering a half size larger than your normal size in this style. For example, if you usually wear a size 7.5, you may want to order a size 8. 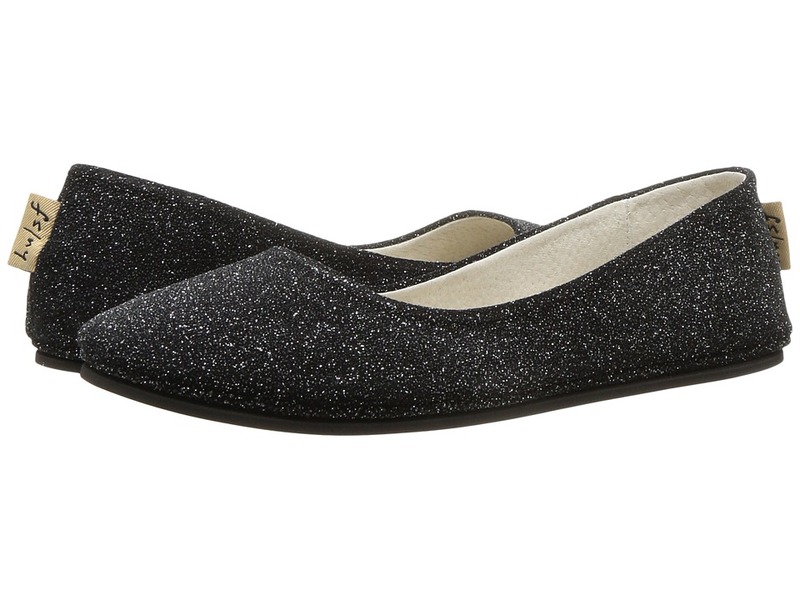 This cute and comfy flat feels like a slipper! Available in a variety of upper materials. Leather lining. Lightly padded footbed. Flexible rubber sole. Made in Italy. Measurements: Weight: 3 oz Product measurements were taken using size 9, width M. Please note that measurements may vary by size. Weight of footwear is based on a single item, not a pair. The San&amp#252k staple receives the feminine treatment with the dolled-up Donna! They~re not shoes - they~re sandals! Distressed canvas upper creates some kickback, casual style. Herringbone texture with accent colors keep it fresh. 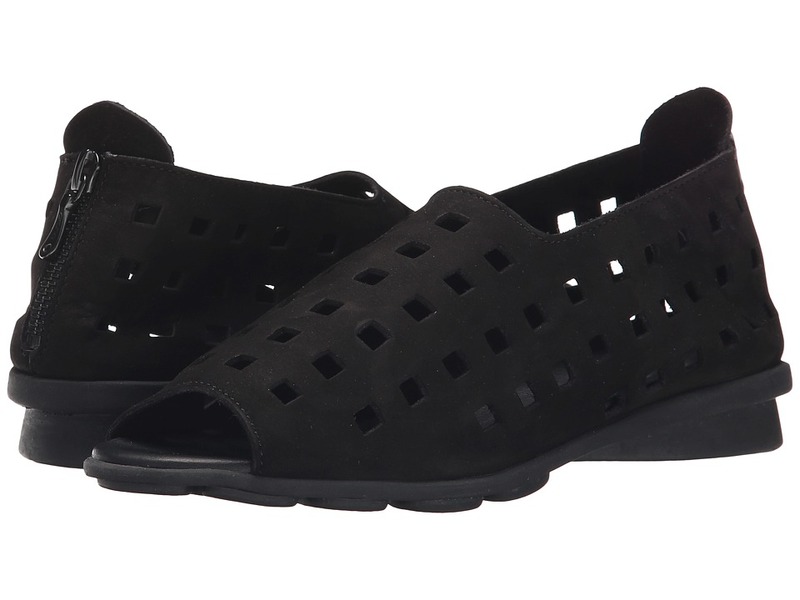 Cushy sandal footbed for complete comfort. Reduced height on vamp lends a feminine side. Durable rubber outsole. For Baja and Fiesta styles: Due to variances in material during manufacturing, patterns may vary. Measurements: Weight: 5 oz Product measurements were taken using size 7, width B - Medium. Please note that measurements may vary by size. Weight of footwear is based on single item, not the pair. Similar to the Douzy, the Drick has the Nubuck uppers with square cut-outs, but has an open-toe front. Back zipper for easy on/off. Padded footbed for comfort. The 100 percent natural Latex soles are made of Havea milk for added comfort and durability. Measurements: Heel Height: 1 in Weight: 10 oz Product measurements were taken using size 38 (US Women~s 7), width M. Please note that measurements may vary by size. Weight of footwear is based on single item, not the pair. Gentle Souls&amp#174 has created an extremely natural way to combine fashion, comfort and care for your feet. Supple leather uppers in a sweet and modern style mary jane design. Elastic strap with ruched edges. This revolutionary technology is lined with the finest, most supple deerskin to ensure a comfort that is as natural as walking. Flax seed pillows embedded in the footbed distribute and mold to the shape of your foot to provide cushioned support with every step. Leather sole with rubber grips. Imported. Measurements: Weight: 6 oz Product measurements were taken using size 6, width M. Please note that measurements may vary by size. Weight of footwear is based on single item, not the pair. Gentle Souls has created an extremely natural way to combine fashion, comfort and care for your feet. 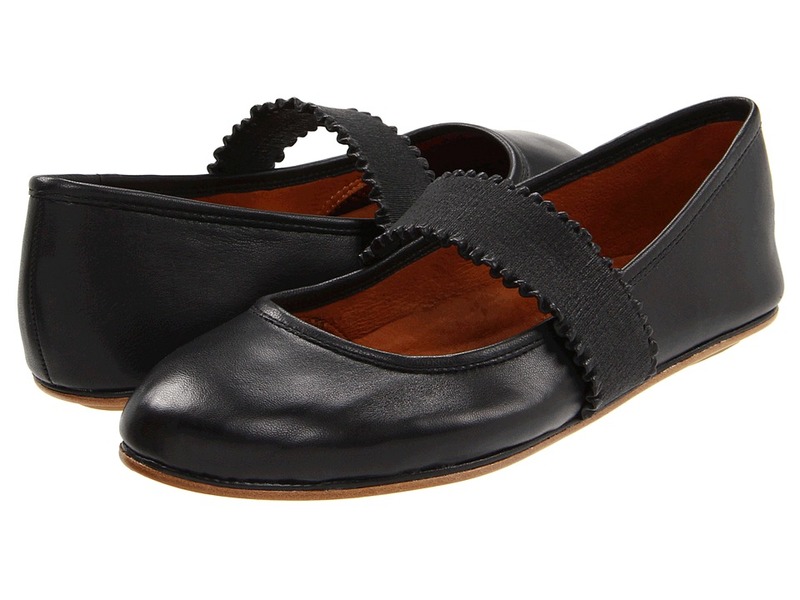 This sweet flat features a rich leather upper with crisscrossing elastic straps for comfort. Supple deerskin lining is naturally breathable. Flax seed pillows embedded in the footbed mold to your feet. Flexible sole with rubber grips. Imported. Measurements: Heel Height: 1 4 in Weight: 6 oz Product measurements were taken using size 6, width M. Please note that measurements may vary by size. Weight of footwear is based on a single item, not a pair. 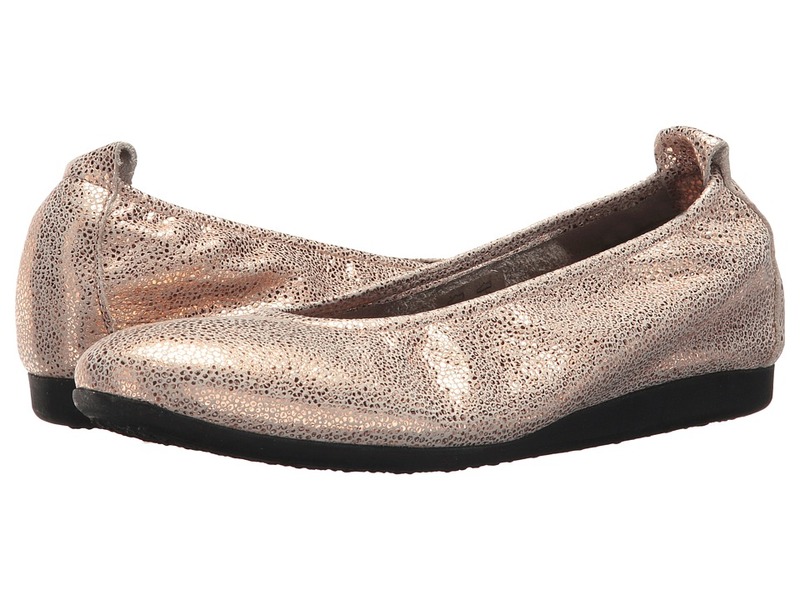 Dress her up in sweetness with these ballet flats. Smooth leather upper. Lace closure with a pretty ribbon tie. Soft, breathable textile lining and a cushioned textile footbed. Flexible suede outsole. Measurements: Weight: 1 oz Product measurements were taken using size 3 Infant, width M. Please note that measurements may vary by size. Weight of footwear is based on single item, not the pair. The Rose slip-on blends superior comfort with practical convenience. Premium leather uppers gently conform to your feet and help wick away moisture. Elastic instep bands allow for a secure yet flexible fit. Leather-lined, padded insole is designed with extra heel cushioning for superior comfort and all-day wearability. Anatomic footbed design allows for proper weight distribution to prevent foot and leg fatigue. Patented, non-slip anatomic outsole features PVC-injected material with a twin support system. This construction maintains the correct angle for superior arch support. Measurements: Heel Height: 1 in Weight: 7 oz Product measurements were taken using size 36 (US Women~s 5.5-6), width W. Please note that measurements may vary by size. Weight of footwear is based on single item, not the pair. Spring Rieker style abounds in the feminine and fun 41395 Doris 95. Rich leather upper features laser-cut out design and whipstitch detailing. Goring for easy slip-on wear. Synthetic leather lining for great in-shoe feel. Leather insole delivers cushioning and support in order to reduce fatigue. Synthetic outsole supplies excellent traction and grip to keep your stride confident. Imported. Measurements: Heel Height: 1 1 4 in Weight: 8 oz Product measurements were taken using size 38 (US Women~s 7-7.5), width M. Please note that measurements may vary by size. Weight of footwear is based on a single item, not a pair. 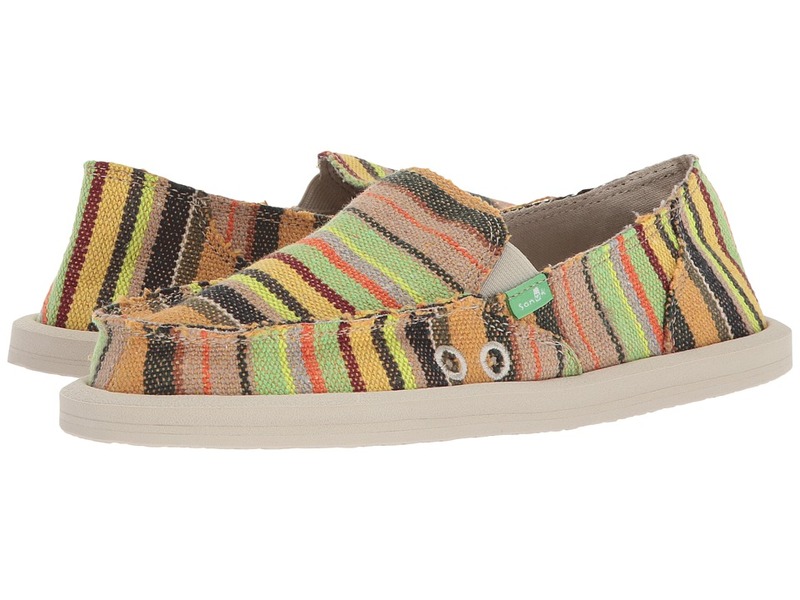 A cute mary jane rebirth from the company that specializes in comfort. 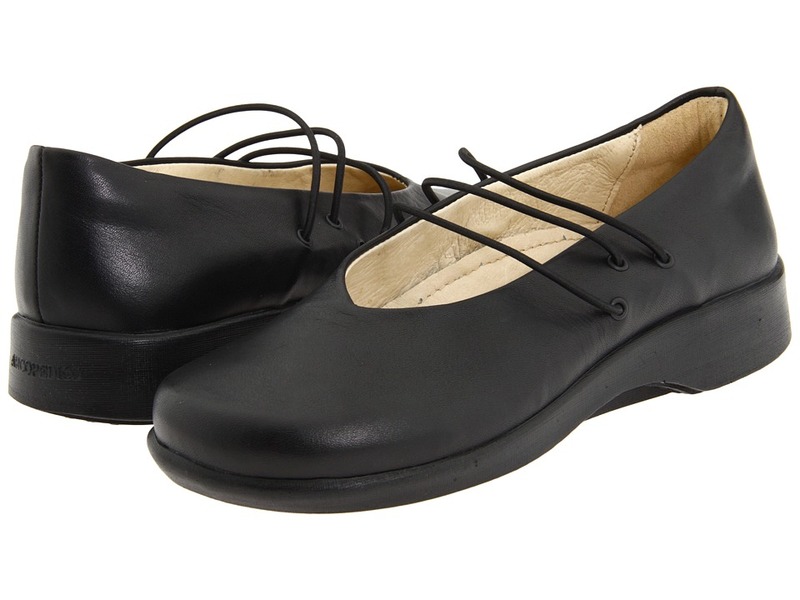 Uppers are constructed of the finest leather providing lasting softness and appeal. Accent stitching adds style, while the elastic instep strap provides comfortable security. The perforated leather-lined cushioned insole is sanitized and delivers all day moisture-wicking comfort. Anatomical footbed is designed to minimize foot pressure with integral arch and metatarsal supports. Lightweight polyurethane outsole is flexible and supplies traction with shock absorbing stability. Imported. Measurements: Heel Height: 1 in Weight: 7 oz Product measurements were taken using size 37 (US Women~s 6.5), width M. Please note that measurements may vary by size. Weight of footwear is based on single item, not the pair. Whether you are in the office or out with friends, ara has just what you need. Genuine leather uppers with a patent cap toe for added style and interest. 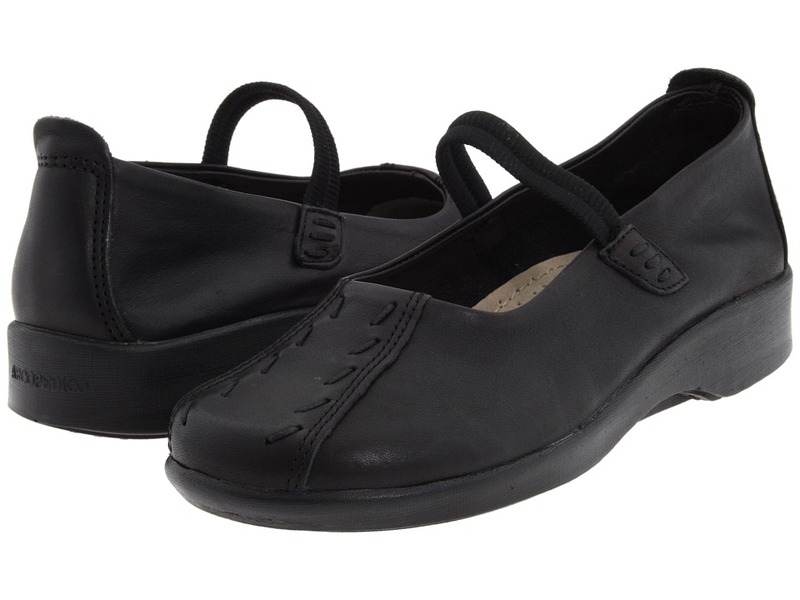 Smooth leather linings will keep the moisture away for dry healthy feet. Lightly padded insoles absorb shock and provide comfort with each step. Rubber outsole with tread detailing for added grip and traction. Measurements: Heel Height: 1 2 in Weight: 6 oz Product measurements were taken using size UK 6 (US Women~s 8.5), width M. Please note that measurements may vary by size. Weight of footwear is based on single item, not the pair. Please be advised that the Birkenstock&amp#174 Narrow width accommodates both traditional narrow and medium widths. 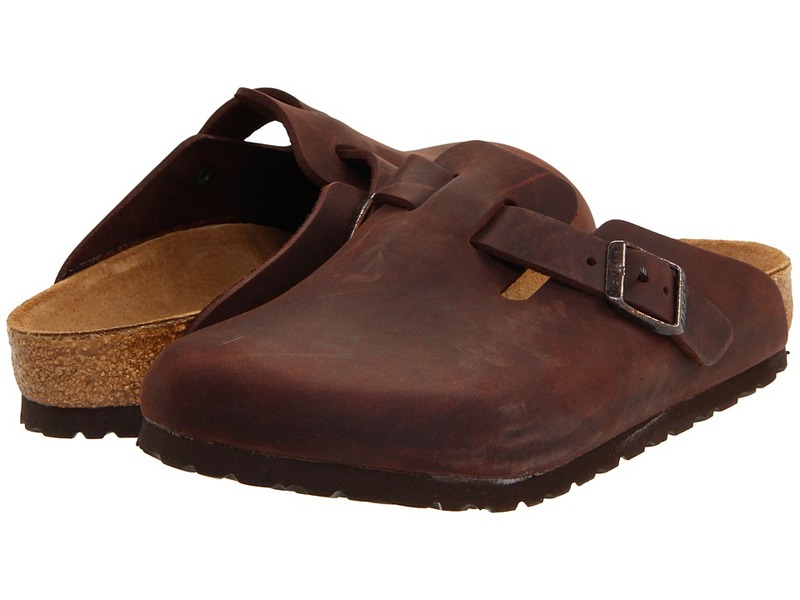 The Boston from Birkenstock is a classic clog that will add style and comfort to your wardrobe. Breathable oiled leather upper with a matching adjustable instep strap for a perfect fit. Anatomically correct cork footbed, crafted from cork that is 100 percent renewable and sustainable, encourages foot health. The suede lined, contoured footbed will mold to the shape of your foot creating a custom footbed that supports and cradles you each and every step. Raised toe bar is designed to encourage the natural gripping motion of your feet, exercising your legs and aiding circulation. Neutral heel profile and deep heel cup keeps the natural padding of your foot where it belongs, under the heel, distributing your body weight more evenly. Flexible EVA outsole offers lightweight, shock absorbing support with lasting durability. Dual layer Jute: top wicks away moisture while the bottom adds strength and makes resoling easy. You will enjoy your Birkenstocks for years because they can be repaired, resoled or even completely renewed. Heat Warning - Cork footbeds or EVA soles can be damaged by exposure to concentrated heat. Do not leave your footwear in direct sunlight or in closed cars on warm days. If your footwear becomes wet, allow it to air dry slowly, away from direct heat. Made in Germany. Measurements: Weight: 11 oz Product measurements were taken using size 40 (US Men~s 7-7.5, US Women~s 9-9.5), width Regular. Please note that measurements may vary by size. Weight of footwear is based on single item, not the pair. The ~Fulton Moccasin~ from MICHAEL Michael Kors will quickly become your favorite slip-on. Available in a variety of premium uppers. Logo embellishment on vamp. Leather lining. Lightly padded footbed. Flexible rubber sole. Measurements: Heel Height: 1 4 in Weight: 7 oz Product measurements were taken using size 6, width M. Please note that measurements may vary by size. Weight of footwear is based on single item, not the pair.